Optim has two wafer dicing tools, that enable us to offer low volume but fast turnaround dicing services on wafers up to 300mm. Using a combination of wafer grinding and dicing, Optim Wafer Services can offer a Dice Before Grind Service (DBG) to singulate ultra thin die. 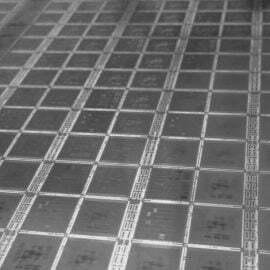 OPTIM has demonstrated capability of thinning wafers down to 10um using this method. 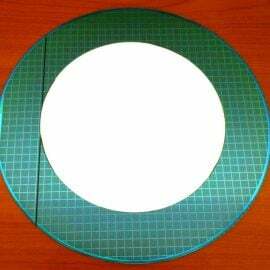 By using the circle cut function on the dicing saws, we are able to resize wafers to any smaller diameter, including making a flat. We can also offer edge bevelling or edge rounding on the re-sized wafers. 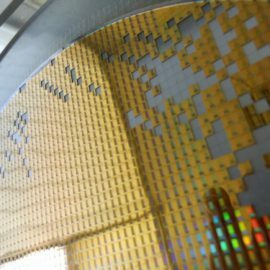 Then using our know-how in silicon polishing and cleaning we are able to finish the wafers to low LPD’s & Metallics sufficient to fabricate devices in your Fab.